Oregonians Credit Union is committed to fulfilling the needs of small businesses throughout Oregon. In an effort to provide the utmost in convenience, we have included documents, information and links that may be of assistance to you and your business. Oregon's economic development agency working to create and expand businesses that provide sustainable, living-wage jobs. Oregon SBDC services are available to anyone who starts, operates, or owns a small business in Oregon. Registering or renewing your business in Oregon. SCORE is a nonprofit association dedicated to encouraging the formation, growth, and success of small businesses nationwide. Programs and services to help you start, grow and succeed in your small business goals. A system offered free by the U.S. Department of the Treasury that enables taxpayers to make their federal tax payments electronically. 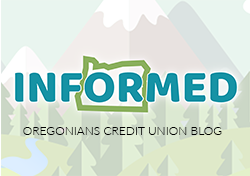 Oregon Department of Revenue: Keep up to date on Oregon tax laws and reforms. Merchant Card Services: a full-service provider of electronic payment processing services, including credit, debit, fleet, gift card, electronic benefits transfer, and check authorization and conversion.